press release - It was March 20, 1992 when Des Allen and Peter Sherrington first noticed Golden Eagles migrating along the portion of what was to become known as the “eagle highway” in the Kananaskis Valley close to Mt. Lorette. When this spring’s count started on March 1, it became the count’s 26th consecutive year, making RMERF’s eagle count one of the longest-running citizen science projects in the world. 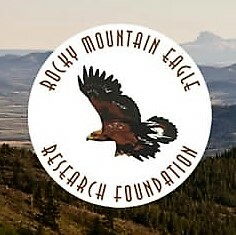 Long-term studies such as RMERF’s eagle count are invaluable to help wildlife researchers and managers monitor populations and spot trends. In the last 25 years, observers have spent some 4535 days (43,000 hours) in the field, counting in excess of 231,000 migrant raptors of which 182,000 were Golden Eagles. Besides the Hay Meadow (Mt. Lorette) site in Kananaskis, observations over the years have taken place at Plateau Mountain, Piitaistakis (Place of the Eagles) in the Crowsnest Pass, Beaver Mines/Vicki Ridge, and Steeples near Cranbrook, BC. This year, counts are being conducted at Hay Meadow (Mt. Lorette), Beaver Mines/Vicki Ridge, and Steeples. To mark the 25th anniversary, RMERF has some special events planned. March 20th is a regular counting day but, from 10:30 am until 2:00 pm, RMERF will have observers and representatives at the Hay Meadow site available for interviews, and to explain how migrating eagles are identified, aged, and counted. Coffee and donuts will be available. Directions to the Hay Meadow site can be found on RMERF’s website: http://eaglewatch.ca. On May 28th, a special 25th anniversary celebration will be held at the Beaupre Hall near Cochrane. Program details, time, and directions to the hall will be posted on our website.